A trio of big-name NASCAR drivers from the past, present and future have all made plenty of headlines this week up in the Canadian short track world as preparations continue for next weekend’s IWK 250 PASS North event at Riverside Speedway in Antigonish, Nova Scotia. Emotions in Nova Scotia ran raw with the situation, which was made worse due to the fact that the race was slated to be a fundraising event for the IWK Children's Hospital. "Bill has always emphasized his enthusiasm for getting back to his roots by racing at local tracks to support the fans who've made him so popular," says John Chisholm, owner of Riverside Speedway. "I'm bewildered and saddened by Bill's change in commitment to his fans, some of whom are traveling great distances to see him here. We've been working hard to create an amazing event to benefit the IWK and he's let us all down." On Wednesday, Elliott responded to Riverside’s claims with a press release of his own, claiming that no oral or written contract was agreed to and that he was only considering the appearance. According to Elliott, he didn’t understand the track’s hostility towards him for simply saying no. “My family and I are disappointed that speedway and event officials continue to portray us in a negative light as a result of this matter,” said Elliott in the statement. 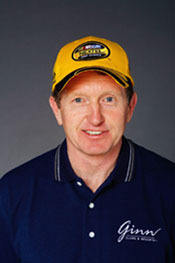 For the past few months, it has been heavily advertised that Bill Elliott would appear for the race. According to the track, the 16-time NASCAR Winston Cup Most Popular Driver would be meeting with fans and driving an entry in the 250 lap Super Late Model race. But on Monday of this week, the track issued a statement claiming that after months of being promoted as the star of the show, Elliott backed out of the race citing the fact that he is “too busy”. In the time since the appearance was first announced, Elliott has taken over the driving duties of the Wood Brothers #21 Ford in NASCAR Nextel Cup Series competition. Although the July 21st Riverside event falls on an off-Cup weekend, one might conclude that Elliott might be valuing his free time a little bit more these days with his Cup commitments. In a strongly-worded press release, the track stated that they had paid Elliott’s management group a premium price for a no-cancellation clause in their contract. The statement also criticized Elliott for “letting down his fans”, calling him “not-so-awesome” and even going as far as to include an anti-Elliott poem titled “The New Bill Elliott” at the bottom of the release. Was there a contract in place? Nothing in writing has publicity surfaced at this point, so whether or not there is depends on whose arguments that you wish to believe. The track says that there is. Elliott and his management group claim otherwise. A release announcing Elliott’s appearance was originally issued by the track on May 9th and Elliott’s likeness appeared prominently for the past two months in advertising for the track. Meanwhile, the track spent this week scurrying to find a replacement driver and just like the Canadian Mounted Police claims to “always get their man”, the track did too. Actually, they got two drivers to sign up and replace Elliott. 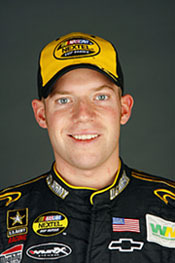 Nextel Cup Series rookie Regan Smith, who shares the #01 Ginn Racing ride with Mark Martin, was announced first on Wednesday. Then on Thursday afternoon, the track announced that Ricky Craven will race in the event as well. 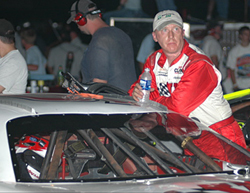 Craven has been idle for most of the past season, having last raced in the July, 2007 TD Banknorth 250 at Oxford Plains Speedway (ME) in a car owned by 2006 PASS North champion Johnny Clark. For Smith and Craven, the race means two different things. For Smith, it is a new adventure in his young career. While for Craven, it will be a chance to return to his roots. Craven is a Maine native who spent time racing in the American-Canadian Tour a decade and a half ago before moving up to the NASCAR Busch North Series and then the big three national NASCAR tours. "I'm really excited about this opportunity," said Craven. "It takes me back to my earliest days in racing when I split my time between tracks in New England and Canada. My experiences in Canada are some my fondest; the fans are so passionate about racing." Craven joins an entry list for the event that also includes the PASS North regulars and a number of notable Canadian Maritime drivers. The IWK 250 will take place on Saturday, July 21st.